These Roasted Garlic Mashed Potatoes are the best mashed potato recipe. 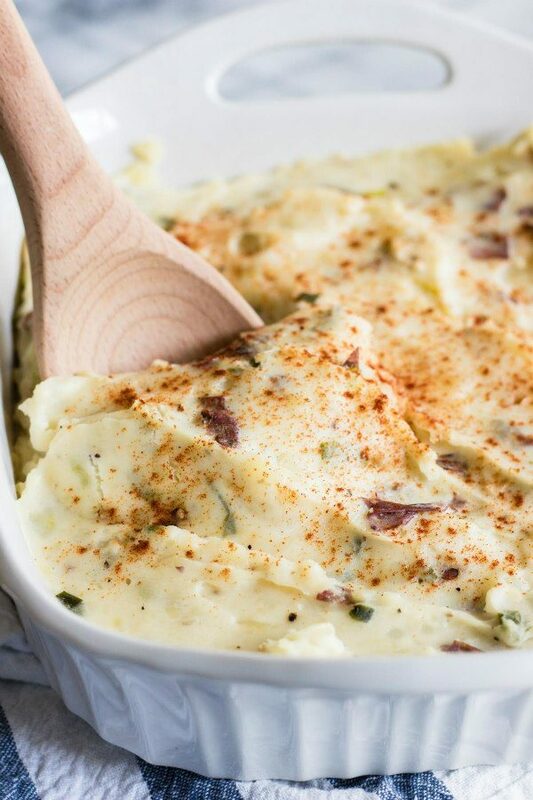 Red potatoes are mashed and combined with roasted garlic and cream cheese to create some very creamy and delicious mashed potatoes. 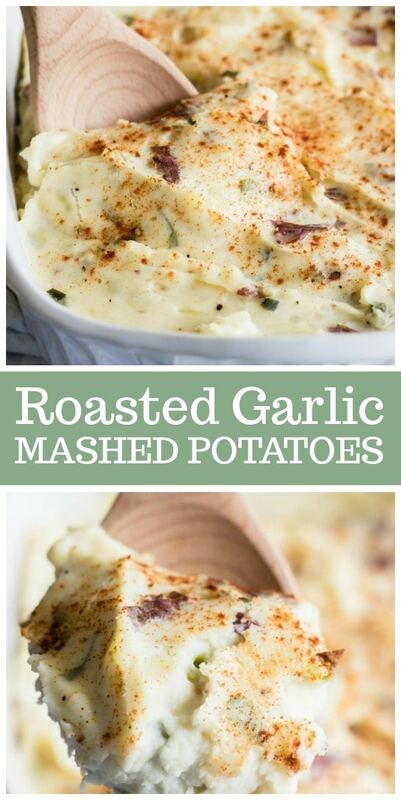 Roasted Garlic Mashed Potatoes are the perfect side dish to serve with beef or chicken. My son always requests that I make them whenever I make his favorite meatloaf recipe. Everyone loves these potatoes! You’ll begin by roasting the garlic. It’s super simple to do. Just cut a little slice off the head of the garlic, drizzle with olive oil, and roast until browned. It’s creamy, mild and so darn good after roasting. Next you’ll tend to the potatoes. 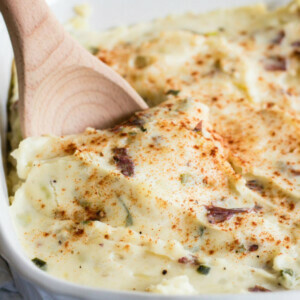 It’s not often that you see a good mashed potato recipe that begins with red potatoes. This one begins with six large red potatoes. There is no need to peel them! 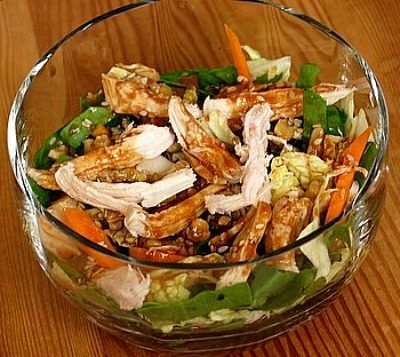 A simple chop and boil method is what this recipe calls for. Then you’ll mash them with the skins on. After mashing, the potatoes are combined with buttery sauteed green onions, cream cheese and that roasted garlic! Add a little salt and pepper, sprinkle with paprika, and bake for a few minutes in the oven. That’s it! The result is some of the best mashed potatoes you’ve ever eaten. They’re so good! If you’re looking for more potato recipes, you might also enjoy my Perfect Mashed Potatoes or my Creamy Oven-Baked Mashed Potatoes. 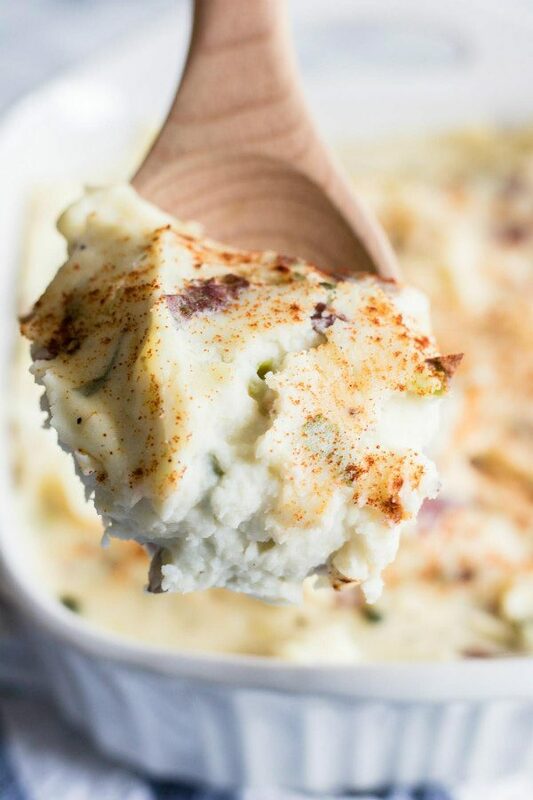 This Loaded Garlic Mashed Potato Casserole looks pretty amazing too. When you add roasted garlic to mashed potatoes, you might never make plain old mashed potatoes again! Cut 1/8-inch from the top of the garlic head to expose the cloves. 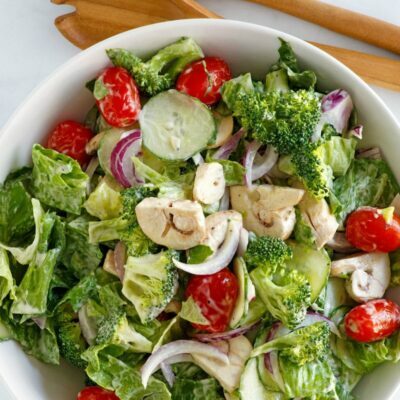 Place in a baking pan and drizzle with a little olive oil. Bake 45 to 60 minutes, or until brown. Remove from the oven. Pop the cloves out of their skins and mash when cool. Sautè green onions in butter in a small skillet just until tender. Set aside. Combine the potatoes with enough water to cover in a saucepan. Bring to a boil; reduce heat. Cook, uncovered, for 10 minutes or until tender; drain. Mash the potatoes with a potato masher. Stir in the garlic, green onions, cream cheese and salt/pepper. Spoon into a baking dish coated with nonstick spray, and sprinkle with paprika. 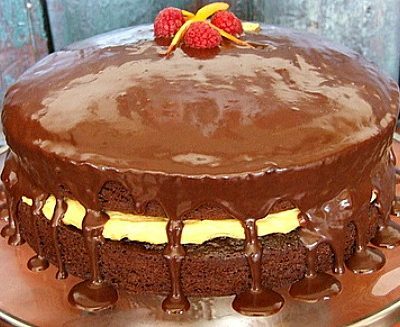 Bake at 300 degrees for 10 minutes, or until light brown. 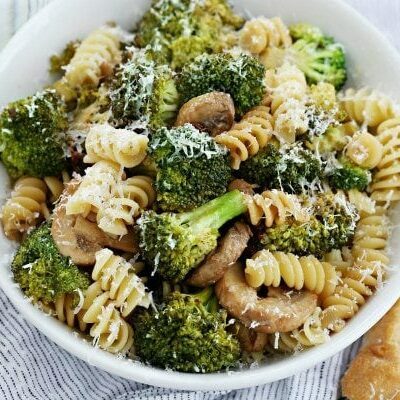 *This dish may be prepared 1 day in advance and stored in the refrigerator. Bring the mashed potatoes to room temperature before reheating. *You may also roast the garlic 1 day in advance or while cooking the potatoes. I love it! Going to have this tomorrow! Happy weekend! I need to roast garlic more often! Whenever I see a recipe using it it reminds that I should just roast some every week. There are so many ways to use it. Love your recipe.